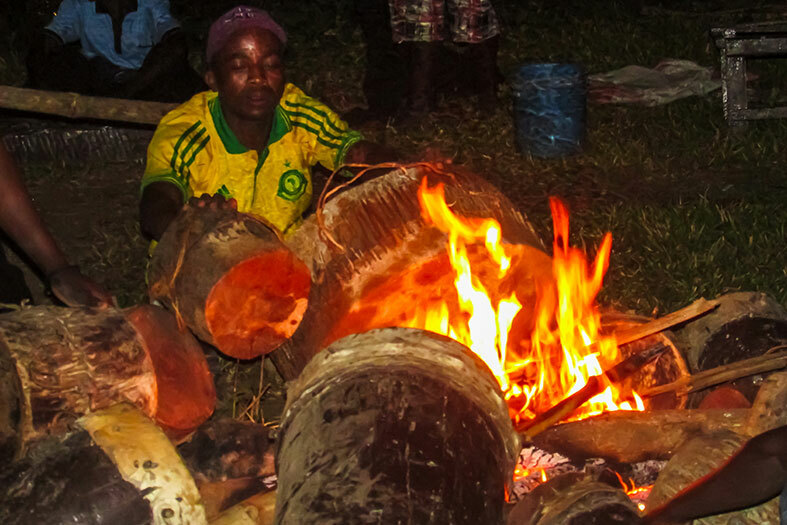 With the support and encouragement of Hondo Hondo, a small group of village farmers have formed a drumming group who perform a traditional “Ngoma” (meaning drum in KiSwahili) at Hondo Hondo on request. They also perform in the village at celebrations, weddings and at the end of the harvest. Some of the music is instrumental, with drums, percussion, whistles and some wind instruments and has a very energetic rhythm. The words to the songs are generally ad-lib (created live) and refer to current events and situations. This is a truly atmospheric experience beside a large log fire and burning torches. We have a nature trail around our site, starting at the campsite/banda shower block. Take a guide, or pick up a map and info sheet from the bar/reception. The trail winds gently around the back of the camp and along the edge of the forest, skirting the National Park border and taking visitors through the forest edge and around the habitats common to the area. Spot the trees and other vegetation marked out, and keep an eye out for birds, monkeys, and other wildlife on and around the trail. 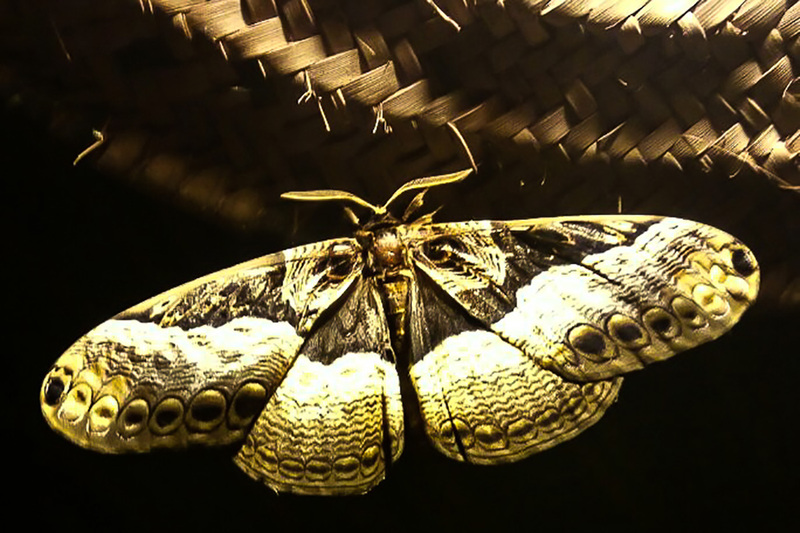 In season we have a “bug lamp” set up at Hondo Hondo, which attracts all manner of moths and other nocturnal insects and bugs. In Udzungwa, there are many endemic insects and other arthropods that you can’t see anywhere else in the world. If you’d like to do some “bug spotting”, please ask the camp manger and we’ll turn on the special Mercury Vapour UV lights. You’ll be surprised at how quickly things home in to the bulb! Keep checking back throughout the evening because as time passes different species become active and are drawn in to the light. Just walking around the camp, and the surrounding fields you can see many species of birds, several endemic to the area. We have compiled a bird checklist with the help of visiting ornithologists and you will find this is the information pack in your room and at the bar or reception. When you go for a stroll around, you can take this with you and see how many you can spot – and if you can add to the list! Birding is popular with many visitors and you have a variety of habitats to explore. 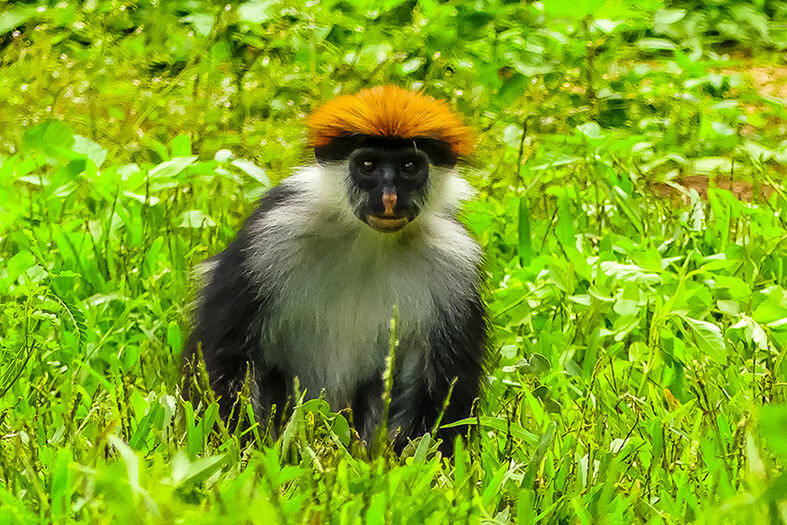 Up in the Udzungwa National Park there is the forest itself and associated species; around the camp you can investigate the forest edge and the paddy fields; and out on the Kilombero Valley floor you will find the sugar cane plantation home to many many more. Notables include: Livingstone’s Turaco, Pels fishing owl, the Kilombero weaver, the White Tailed Cisticola, the Kilombero Cisticola. Please see here a couple of links to blogs written by birders who have visited Hondo Hondo and loved it. Do let us know if you would like us to feature your own blog on our website! 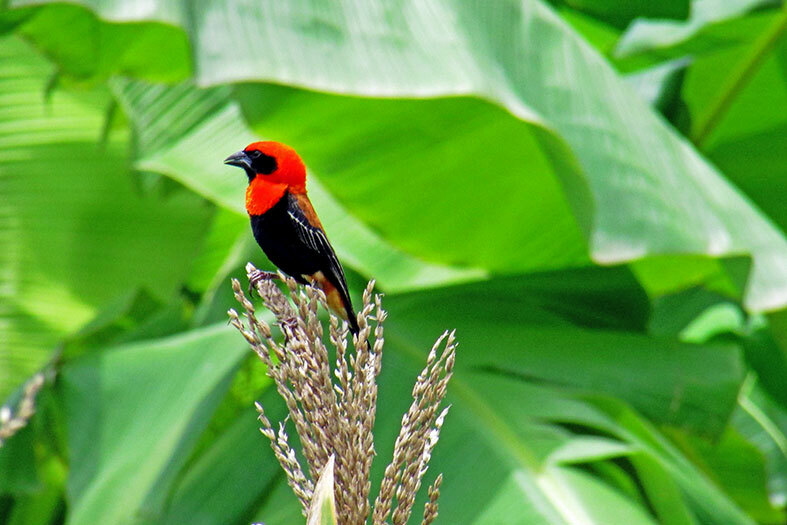 A Birder’s Blog – Udzungwas or Bust! 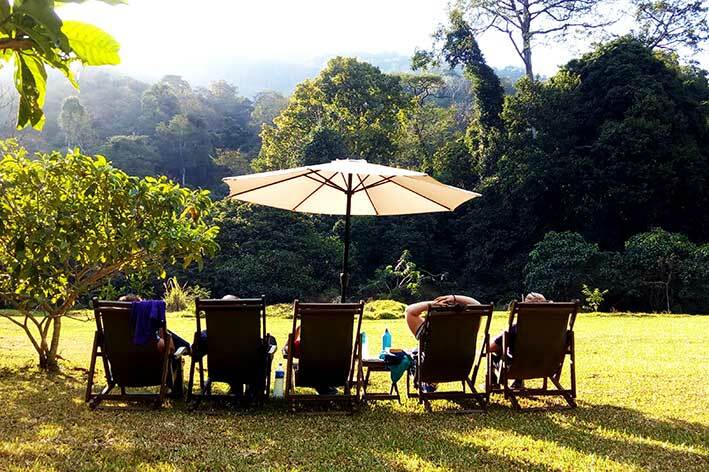 Wonder around the camp, and relax in our hammocks, forest seats, bar or your chosen spot. A kids pool can be set up on request, and some games can be found in the Bar. Wherever you decide to settle, drinks and snacks can be brought to you throughout the day by our friendly staff.